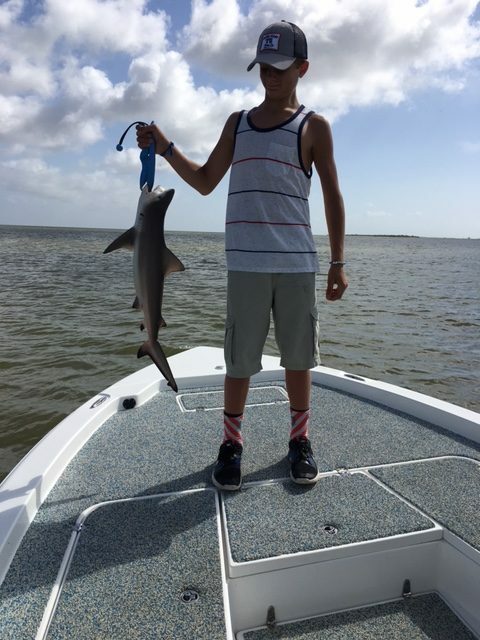 WELCOME KIDS! 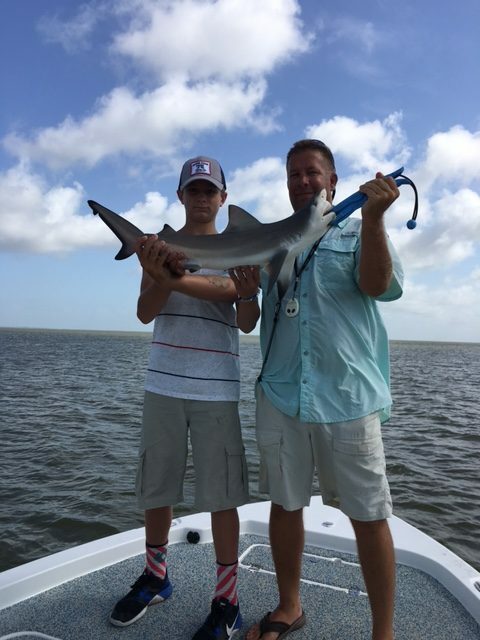 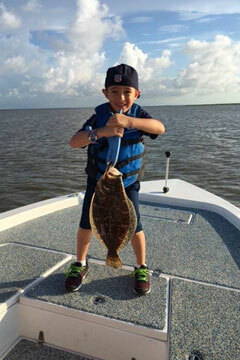 We at Vitamin Sea Charters not only welcomes kids and families out for a day of fishing – We Strongly Encourage It! 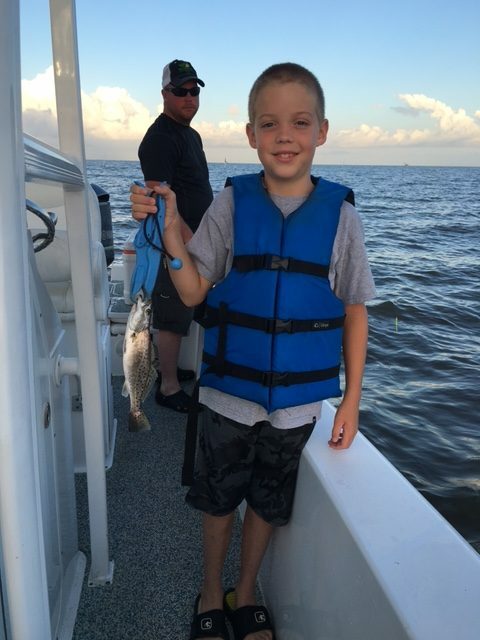 There is nothing more gratifying than to watch kids catching their first fish. 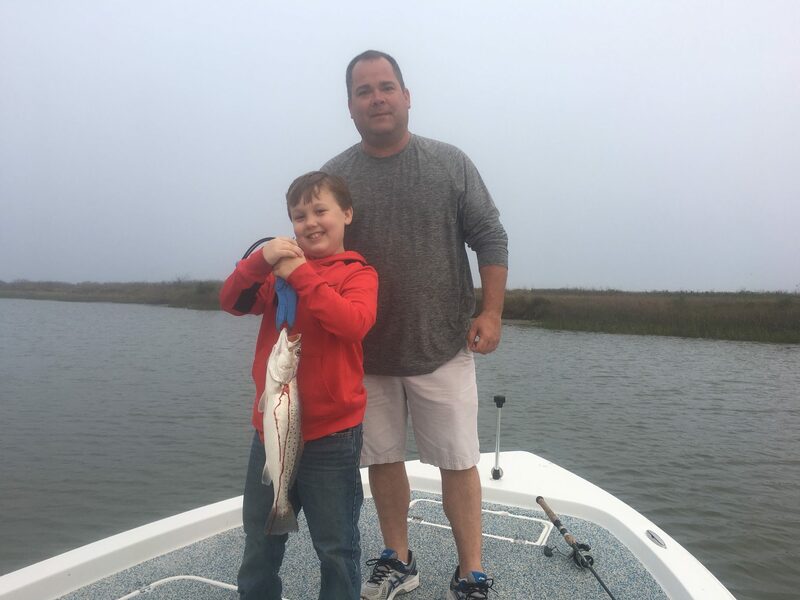 We love to teach kids of all ages. 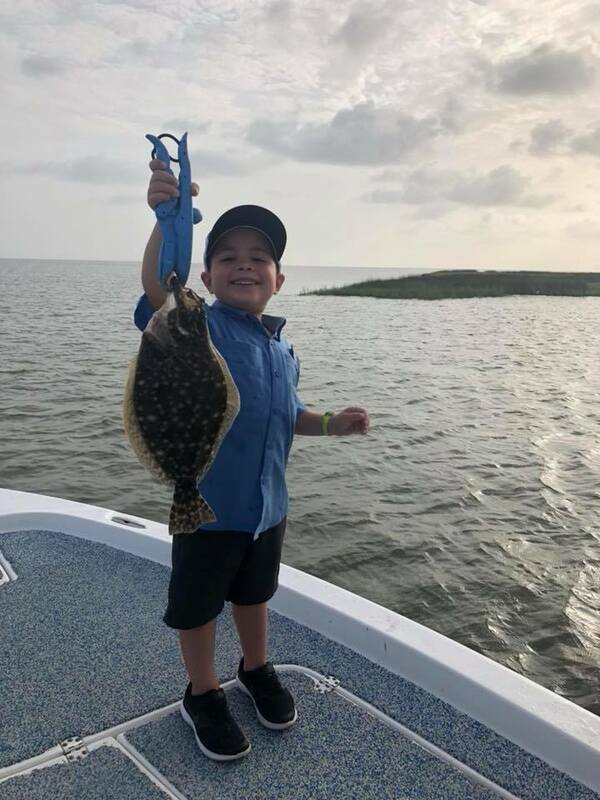 To us, you can never start too soon. 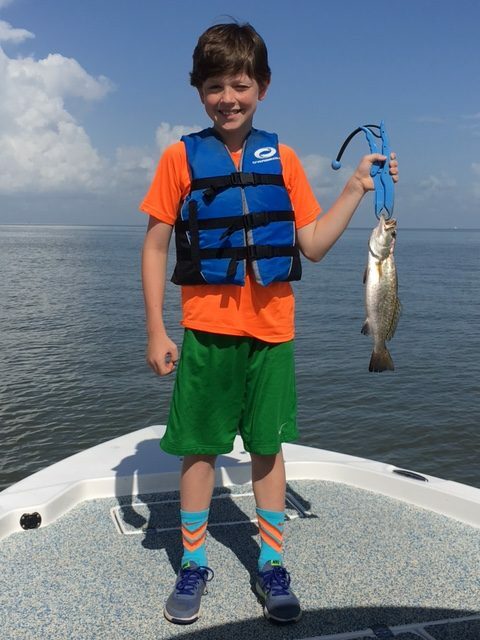 Our boat is very kid friendly. 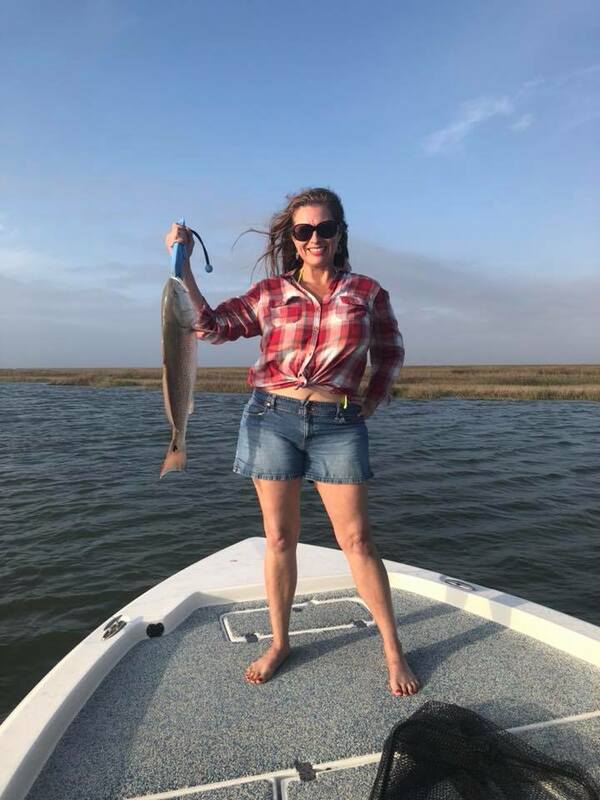 It’s spacious, we’ve installed a new safe floor in her that is slip resistant and we have large covered hard – top with a built in misting system to keep you nice and cool on those hot summer days. 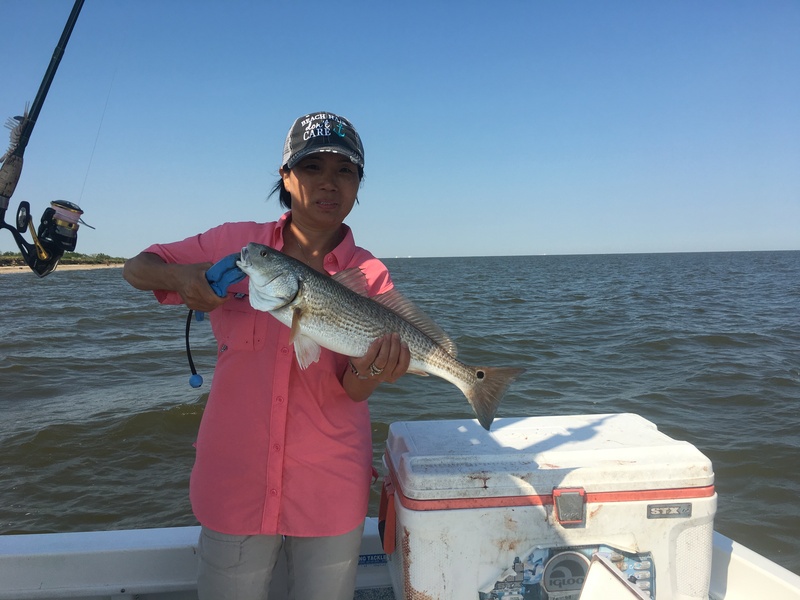 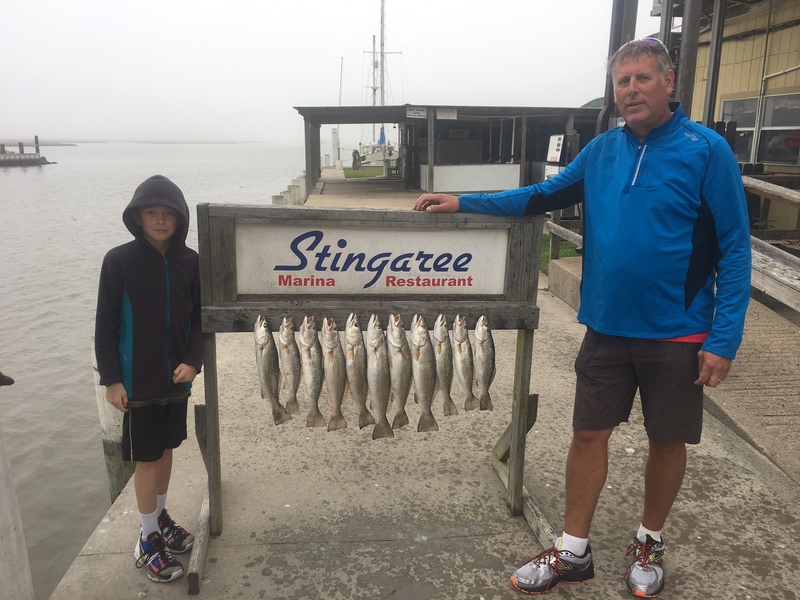 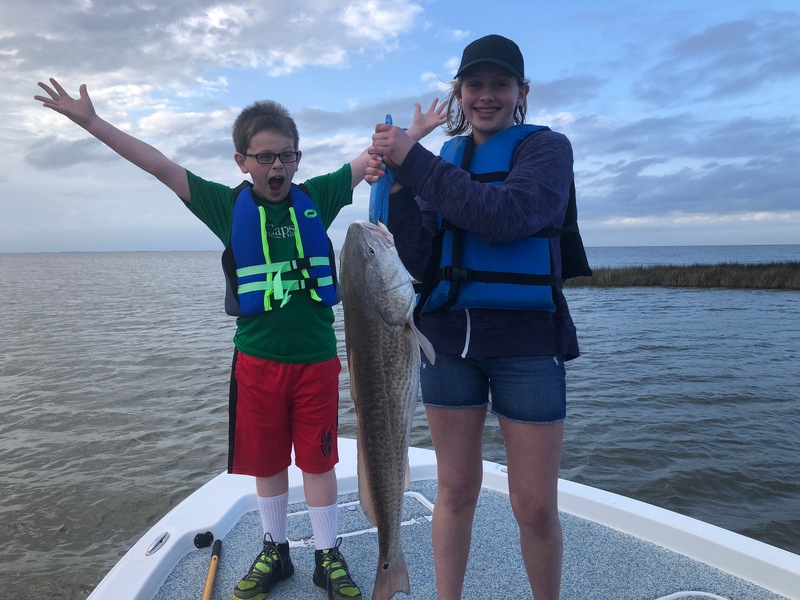 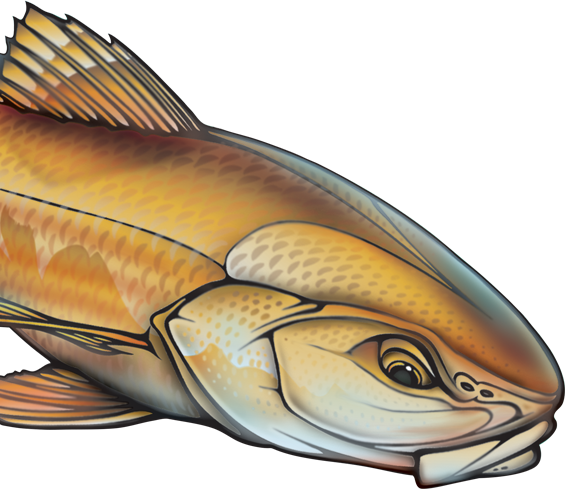 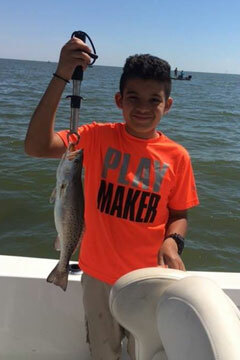 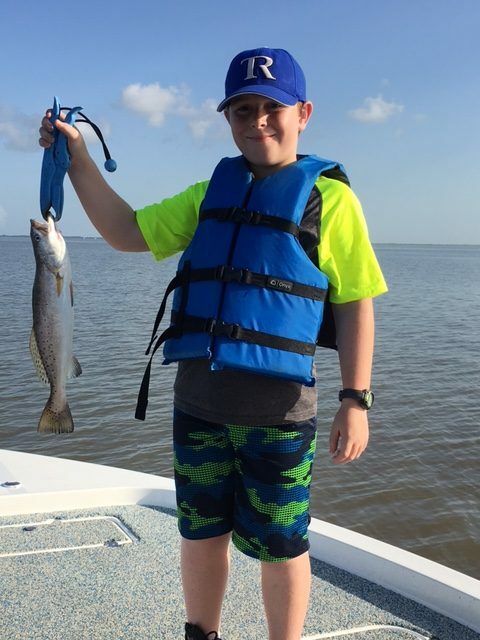 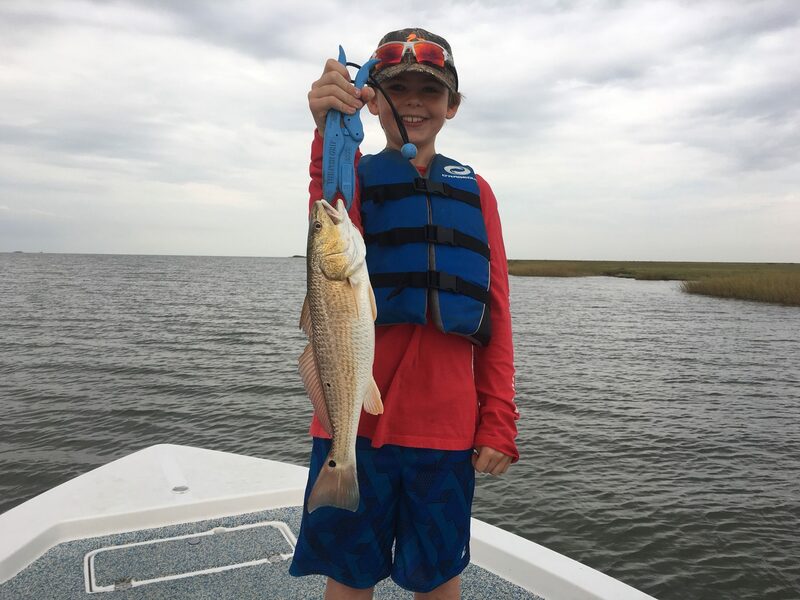 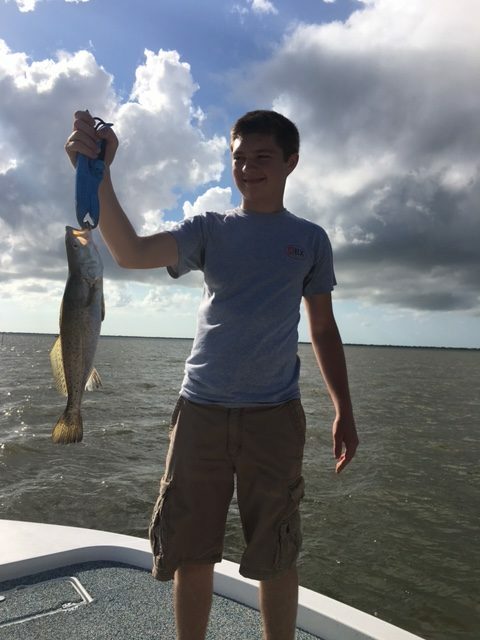 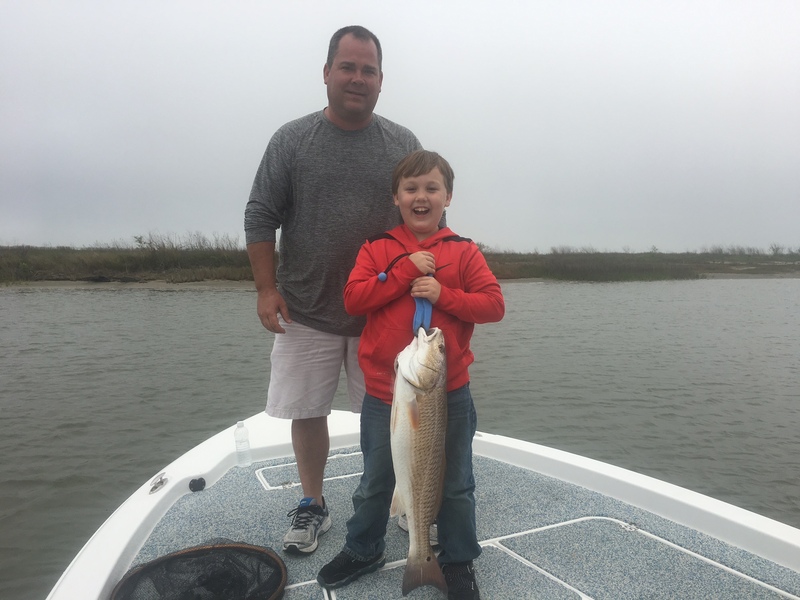 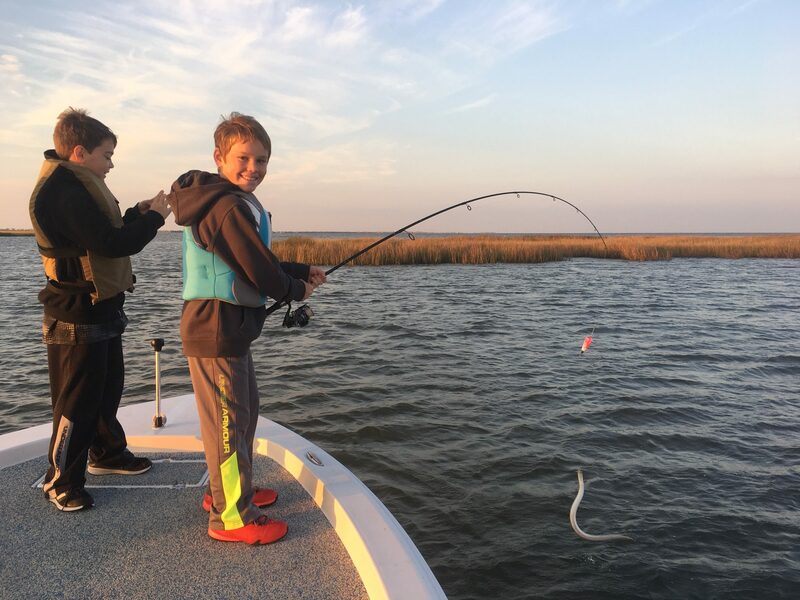 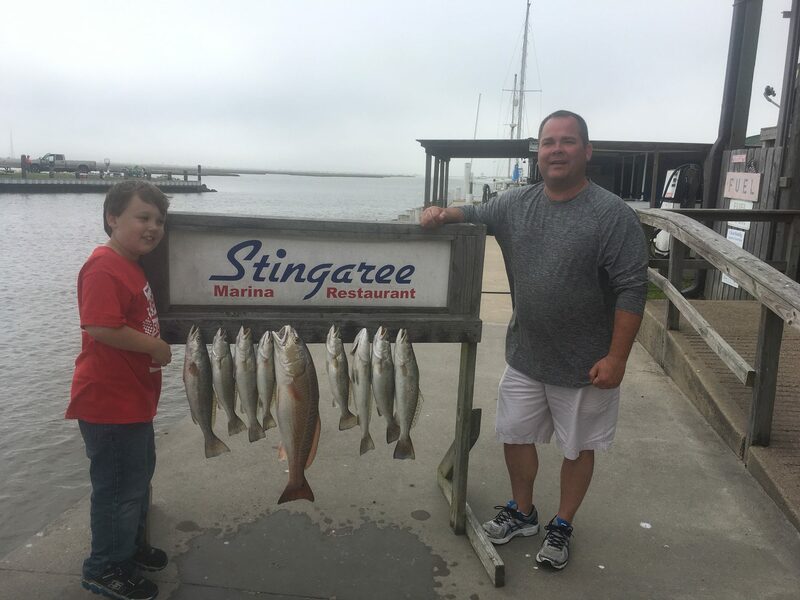 We want to help your family and children enjoy a safe and memorable day on the water fishing and help you catch your first Trout, Redfish or Flounder!